Culminating in a weekend finale that celebrates Australia's diverse musical landscape, Vivid LIVE welcomes back Blue Mountains heroes Cloud Control in a sneak preview of their highly anticipated new album - marking their first headline shows since relocating abroad with the Australian Music Prize-winning Bliss Release. Proving irresistible ambassadors of swoon-worthy harmonies with pulsing rhythms, Cloud Control have triumphantly evolved from their uni-comp origins into consummate performers of sun-drenched pop – led by a classic boy-girl partnership found in co-vocalists Alister Wright and Heidi Lenffer. Anchored by a rhythm section comprised of younger sibling Ulrich Lenffer (drums) and childhood friend Jeremy Kelshaw (bass), the quartet has captured the nation's spirit with their refreshing sound and unbridled enthusiasm for the live stage. 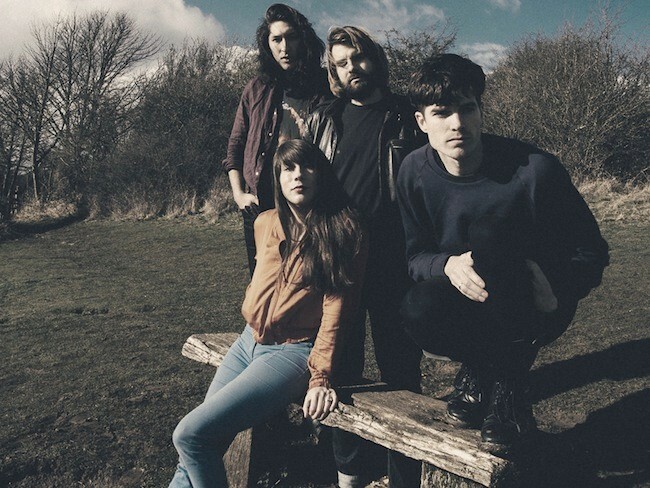 Now preparing for the imminent release of their sophomore album, Vivid LIVE invites Cloud Control to mark the beginning of an exciting new phase that is set to win over the world.